At the pressing plant right now! "Contemporary shouts from contemporary voices charting a small piece of the limitless history of women in revolt. Eight tracks; each one a history; a story; a biography, told through disparate styles, from early anarcho punk and UK82 to DIY snapshots of goth crossover – all bound together to cement an activated and radical disruption vita. Joyce is the revolting woman; a constant of history. 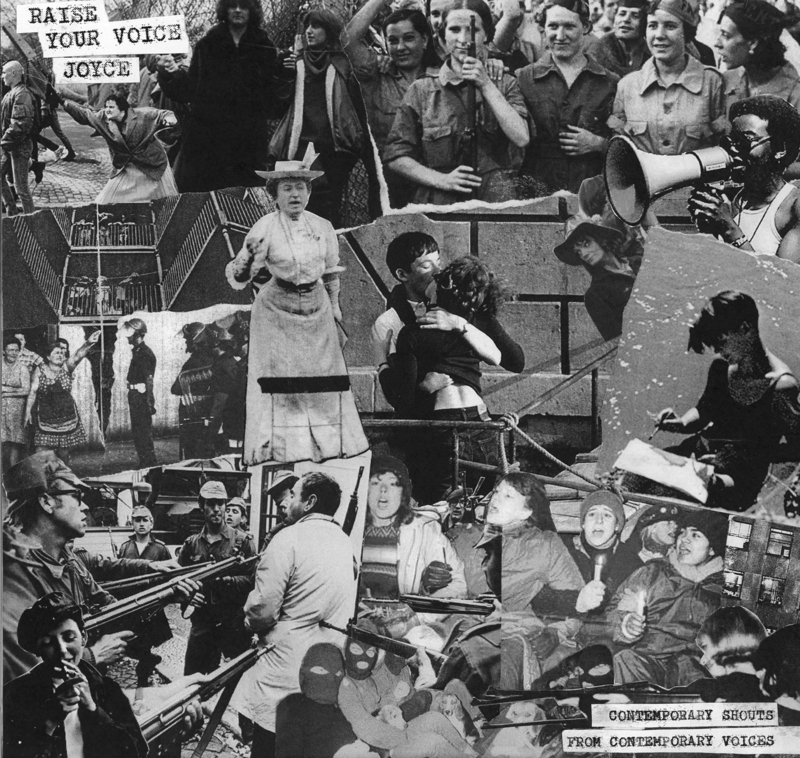 Contributions from members of today’s UK and European punk scenes (Nekra, Good Throb, Arms Race, Sauna Youth, Terrible Feelings and more), RYVJ is a command, a demand and a well-spoken message for tomorrow."